One of the notable benefits of genetically modified (GM) foods is that they can be engineered to resist extreme weather. If you consider that a farmer is to some extent at the mercy of the weather, you can imagine how a crop engineered to be resistant to intense weather fluctuations can be a relief for the agricultural industry. When a drought strikes or there is a longer, colder winter season than usual, crops can ultimately be destroyed. In developing countries, this destroyed crop can serve to increase starvation and poverty in the area. In developed nations, the destroyed crops may not have the same significant effects but they still result in hardship for the farmer and can mean that produce is more expensive, because it must be imported rather than locally grown. However, the use of a GM crop engineered to withstand these extremes in weather, as well as fluctuations, can mean a consistently steady crop that retains high quality and flavour. These types of weather resistant crops are generally considered well-suited to developing nations, who place more reliance on staple crops and who also do not have the economic stability to withstand a ruined crop from one year to another. 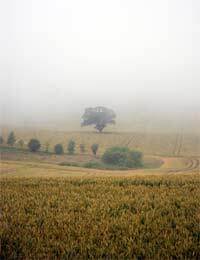 Still, the issue of using GM crops to handle weather extremes have also been raised again more recently in Britain – after 2007, which was a particularly poor year for farming. The UK had typically been quite mixed on the use of GM crops, with more of the public seemingly against the use of these foods as opposed to supporting GM foods in Britain. In fact, activists sabotaged a trial using GM crops last year. Also, the vast majority of Britain's large supermarket chains have been against the sales of GM foods, mostly for fear of losing valuable consumers in their shops. Still, with the recent crop damage of last year, GM crops are again being revisited as a potential solution to this disastrous issue. Given that they are not as susceptible to poor weather conditions, they may be an appropriate solution to handling weather extremes in Britain. A main issue, however, is whether the British public can accept GM products and show their support through purchases of these items. Not only that, but also another question is whether large supermarkets can be convinced to sell the products. At present, the United States is the largest market for GM foods although the rest of Europe is using GM foods – Spain in particular as well as France, Germany and other countries. In terms of the British government, they are generally open to investigating the potential for GM crops but the approach would be a cautious one. In this sense, each GM crop would be considered on an individual basis and would be examined with relevance to health and environmental impact, if any has the possibility to occur. But the end decision will still lie with the farmers, supermarket chains and ultimately, British consumers regarding whether GM foods will be used. With last year's poor crops from weather extremes, the attractiveness of GM foods may be more obvious today than it was previously. I am pro GMO and proud of your article most people who are against them are blind because they refuse to expand there mind to the fact that GMOs were created to help us not take over the world.